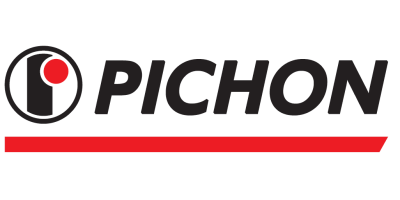 PICHON SA is a family-owned company with more than 45 years of experience in the design, manufacture, and service comprehensive range of agricultural machinery and handling equipment. 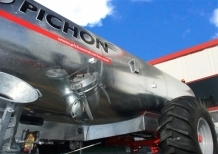 With its exclusive sales force and a network of distributors supported by agricultural machinery professionals, PICHON has become the french leading manufacturer of slurry tankers. Custom-built solutions are definitely our strong point. At PICHON, every tanker is designed to strictly meet the user`s specifications. More than 45 years of expertise into the improvement of spreading techniques have enabled PICHON to gain a foothold in 45 countries all over the world. PICHON is activeon the agricultural machinery market since 1970. Custom-built solutions are definitely our strong point. At PICHON, every tanker is designed to strictly meet the user's specifications. This approach demandsfaultless technical reactivity and listening carefully to what our customers want. Thanks to this rigorous approach, the company able to respond very quickly to even the most challenging demands. The diversification embracing power jetting equipment and, since 2004, compact loaders has actively supported the company growth. 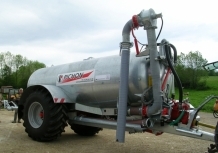 In 2011, PICHON complete its range of solutions for spreading with the launch of the range of manure spreaders Muck Master and 2015 with two new solutions for slurry pits. PICHON is also the first manufacturer certified according to the spreaders certification standard for liquid organic fertilizers: eco- spreading . The company is driven by the same ambition: to be in the forefront of innovation and performance.